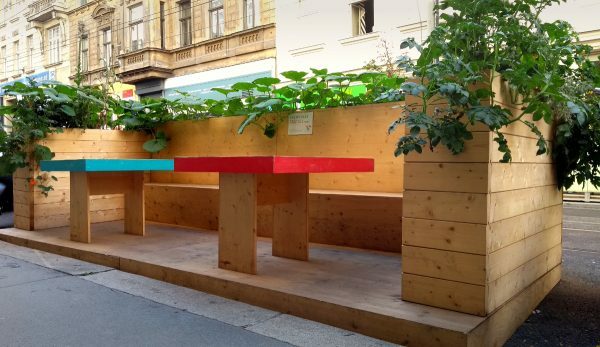 CityMaking!Wien is an online toolbox that facilitates the conception, design and submission of parklets in Vienna. The website should make it as simple as possible for the citizens to participate in the development of their own neighborhoods and cities. 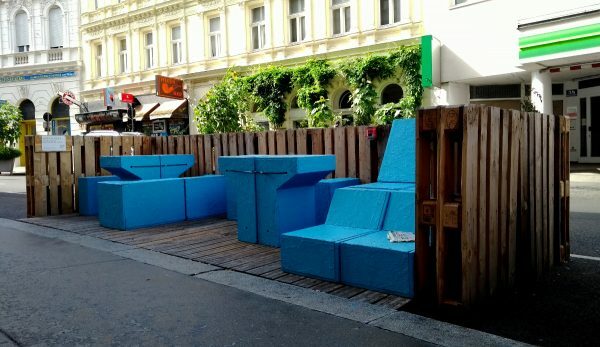 Basic information about parklets and what should be considered for the conception and construction of a parklet in Vienna, regarding the security, the design and other aspects. A parklet potential map that shows where would be possible to build a parklet, by showing in red the different restrictions that apply for the use of parking places. The map simplifies the understanding of the regulations and offers a new understanding about public spaces. A design tool that facilitates the creation of the required drawings for the submission. The tool is very simple to use, yet it has considered many of the requirements regarding dimensions and security. People can also download the drawings and edit them according to their own visions. An online submission tool that facilitates the contact with the authorities and the submission of the required documents to obtain a permit for the use of parking places. With these tools the website encourages people to become active and submit their ideas using the online form. 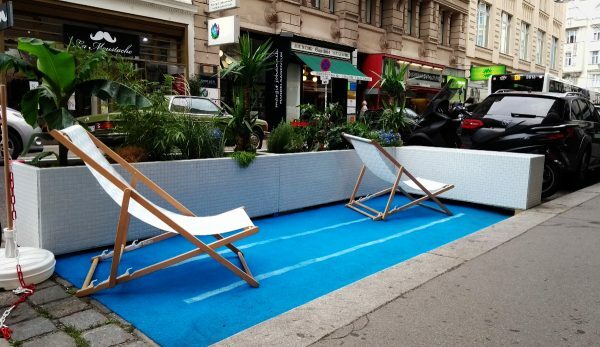 The final decision regarding the use of parking places is taken by the city of Vienna. The toolbox is a great example on how technology can trigger new dynamics in cities, by providing new understandings of public spaces. Last but not least CityMaking!Wien also tested the impact of technology in citizen participation. The application was designed to know if technology truly fulfill the promise of making participation and engagement easier, or if web-applications really encourage people to become active in their neighborhoods. To answer these questions we ran an online survey, conducted interviews and collected data automatically. The website was developed as part of the PhD thesis “New methods of citizen participation based on digital technologies” at the Austrian Institute of Technology. Conception and development: Juan Carlos Carvajal Bermúdez, Matthias Herret.